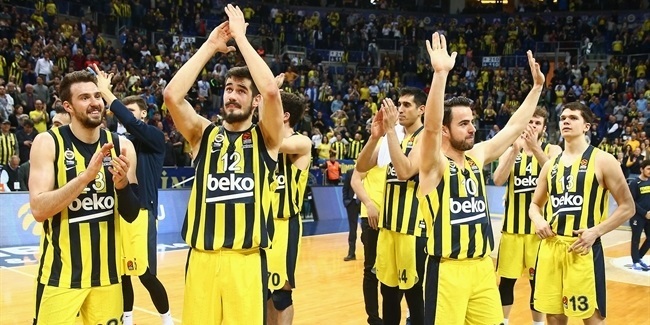 The first place at the end of the regular season is within reach for Fenerbahce Beko Istanbul after a come-from-behind 88-82 win over FC Barcelona Lassa on Friday night. Fenerbahce was down by 13 points in the third quarter, and still down by 10 early in the fourth quarter, but rallied to pull out a victory that sends it two wins in front of CSKA Moscow and Real Madrid. “I am really proud how we changed the game in the last 10 minutes,” said coach Zeljko Obradovic. It was effort and desire, aggressive defense and good care of the ball that Fenerbahce had to combine to get this win. All that, and a club record-tying 17 three-point shots made on a club-record 38 attempts. “That is what the defense of Barcelona gave us, and we took it,” said game hero Kostas Sloukas, who had a game-high 22 points on 5-for-5 three-point shooting, while tying his personal career-high by dishing 11 assists. 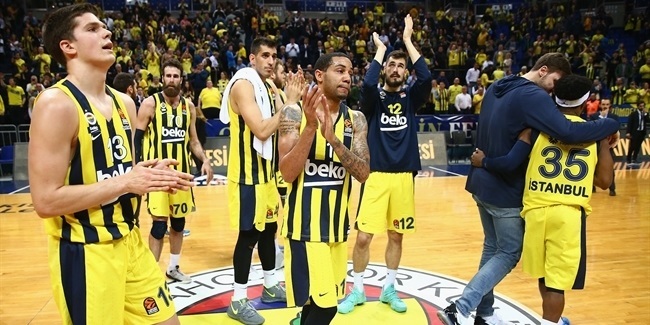 Fenerbahce entered the game averaging a middle-of-the pack 21.1 three-point attempts per game and 36.6 two-pointers. On Friday, not only did the Turkish team try 38 triples but it also attempted its all-time low 19 two-point shots. On the other hand, Barcelona is the team that came into this contest allowing opponents to attempt a league-high 25.7 triples. The visiting team stuck to the trend, trying to protect its rim and its paint, trying to provoke Fenerbahce’s three-point shot. 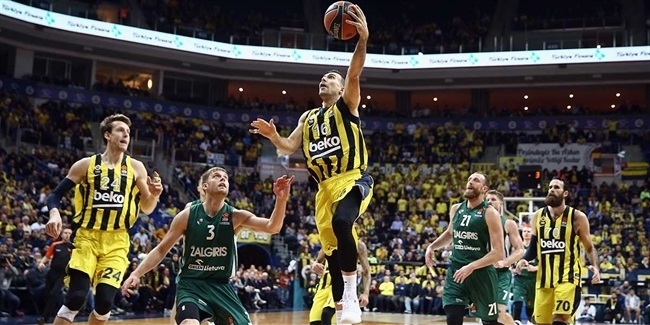 “They did not want to leave our big guys after screen and rolls, or any action, to score under the baskets,” Obradovic explained, adding that his team shot with confidence and only one or two of those behind-the-arc attempts might have been ill-advised. However, with all the experience he has, Obradovic still had never seen his team play a game like this in the EuroLeague. Those 38 three-point shots were the most attempted by a team coached by Obradovic in the Turkish Airlines EuroLeague this century. “I am very happy that we took the open shots. That is the only way [to do it]”, he pointed out.